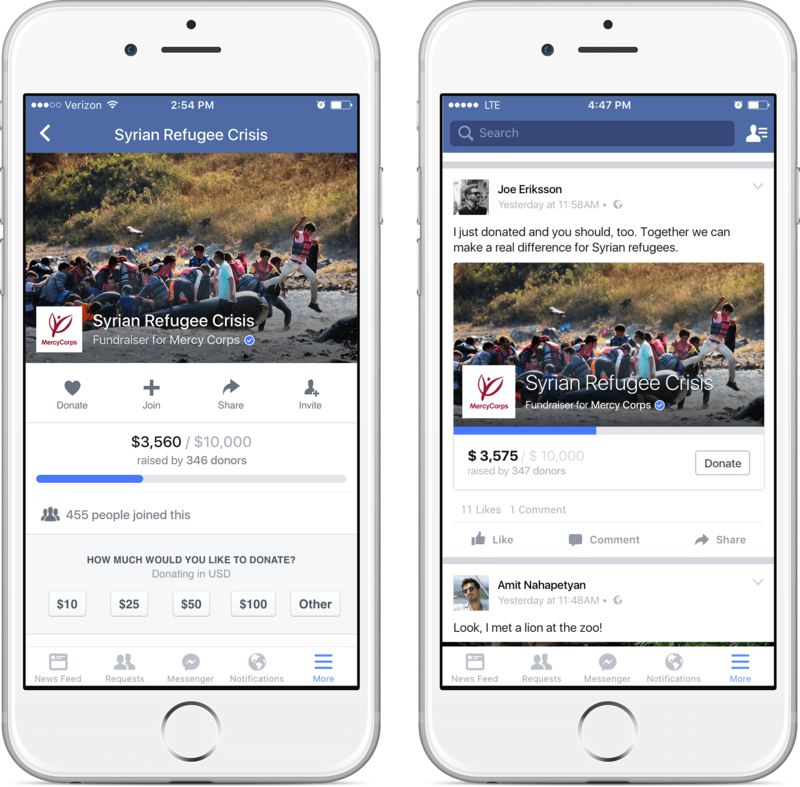 Facebook isn’t exactly known as a bastion of altruism, but after rolling out its Safety Check system following both the Paris attacks on Friday and a suicide bombing in Nigeria on Tuesday, the social network is again bolstering its humanitarian outreach efforts with new tools for philanthropic organizations. On Wednesday, it beefed up offerings for nonprofits with the debut of two new features, a fundraising campaign tracker and a simplified Donate button. The new fundraising campaign tool essentially builds analytics into the Facebook Page settings of eligible organizations. Nonprofits can launch long-term, themed, and specialized fundraising campaigns, set specific milestones for those campaigns, and visually track how much money’s been put towards those milestones and the total goal. The improved Donate button is more singular in its purpose: it lets users contribute to causes directly from their News Feeds via PayPal, a credit card, or debit card. Facebook’s not rolling out the new fundraising tools broadly yet. To test their efficacy, it’s partnered with Mercy Corps, the National MS Society, the World Wildlife Fund and 37 other organizations for a several-week soft launch period. A Facebook spokesperson said that the tools will expand outside the US sometime next year. The new donation tools aren’t Facebook’s first attempt at formalizing the sort of philanthropic drives that have taken place on social media over the past several years. It rolled out a Donate button in 2013, and improved the button in August with more flexible options for ad and Pages placement. The newest iteration of the button, the version launching today, integrates on-site payment, allowing users to complete contributions on Facebook. But donating via Facebook requires associating a payment method with your Facebook account, a requirement that some critics argue points to an e-commerce motivation. And while fundraising is free for organizations now, The Verge reports that Facebook will begin charging a small fee in the coming weeks. Facebook says it’s restricting eligibility for the tools to United States-based 501(c)3 organizations right now, but those applying for consideration in future rounds of testing can sign up at the network’s dedicated donation site.